Mr and Mrs Walters of Exeter were delighted with the timber frame double carport and store purchased from Shields Buildings in 2015. 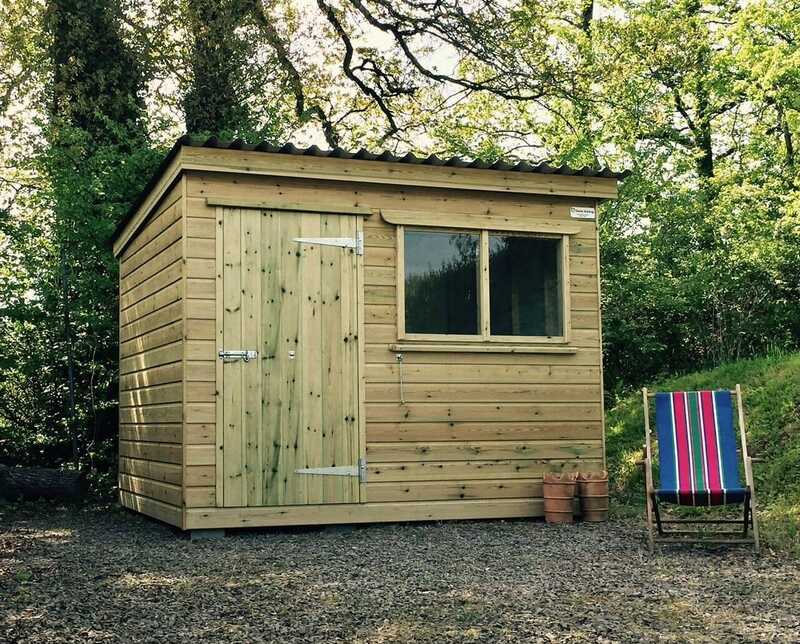 When they wanted a shed for their garden they were straight on the phone again, knowing they would get the same high quality building and service. Because we'd created a double carport for the Walter family in 2015 we really wanted to create something that they would love as much as their original Shields Building they purchased. The new pent roof shed at 3 x 2.4m has proved to be just the job for storing their gardening equipment. Nestling in its peaceful location in the garden it looks like a nice spot for relaxing too! "What impressed us most was the care and detail applied. John carried out a site visit and helped us make various choices. We had some requirements of our own which he was more than happy to accommodate. The team who look after the build and installation were extremely friendly, efficient and hard-working. The quality of their work is top class. In summary, a top quality product from a top quality company." It's good to think early on what you'll be using your space for. Where would you like to have the windows and at what size? Will you require an electical pack for a heater, lighting and wall sockets? What internal finish would you like? We work with you to create your perfect building. 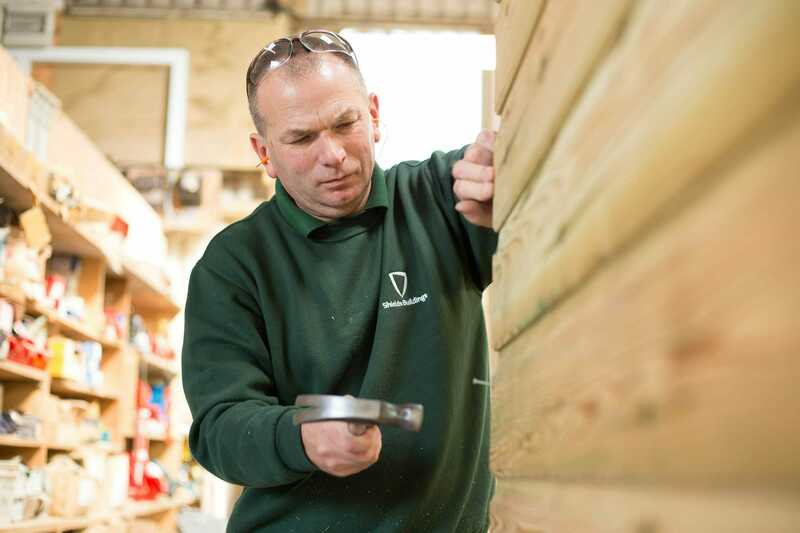 Lighting is an integral element of any timber building. We will design your building to suit you, making use of solely natural or artificial light. Utilising all available wall space and incorporating roof lights, ensuring your timber building provides the best possible solution for you. We work with you to ensure your vision and the designs for your bespoke building meet all your requirements, giving you a wonderful environment and the space you need. 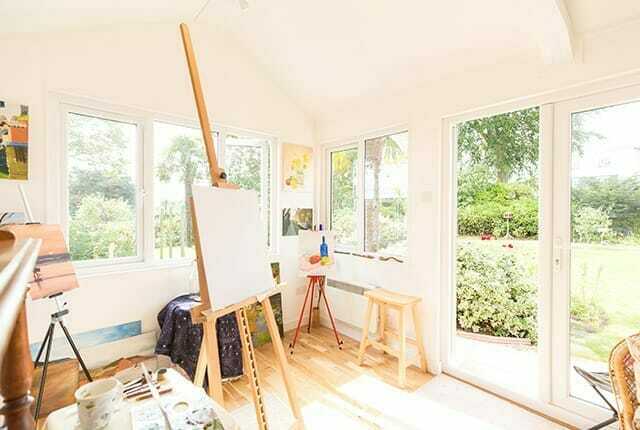 We will create a space that's great to work or relax in, is space efficent, and most importantly answers your needs.